First off, let me admit that I grossly underestimated the time it takes to revise and edit a novel. Some months ago (that long, jeesh?!) I set a goal of revising my draft in a couple of months. I set target dates, started work, continued…and…everything…slooowwwwed…dooowwwwnnnn… Yawn. 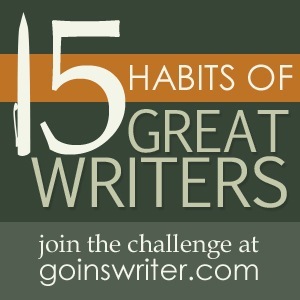 Yesterday I joined up with Jeff Goin’s 15 Great Habits of Great Writers challenge. I’m number 1082 on the list, and people are still slowly joining. This post is my attempt to catch-up with the challenges so far – there are five of them, so apologies in advance for the length of the post. Please scroll to the bottom two, however, where I ask something of you. On yesterday’s post I introduced the Blogging from A to Z challenge. On this, my writing blog, I intend to attempt to write 26 pieces of short fiction posted over April. This post will form the index and a quick explanation to those posts. 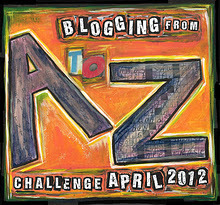 On Sunday April 1st thousands of bloggers will be commencing the Blogging from A to Z Challenge for the month. I will also be joining in this challenge on this writing blog, and also on my author’s platform. I don’t normally post a ROW80 checkin on the Sunday (for me it’s Monday already). 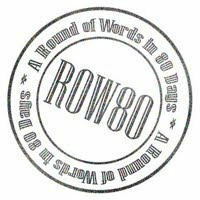 But as there is only three more days to go on the first round of ROW80 this year, I wanted to briefly take my bearings, and set a very short-term goal.